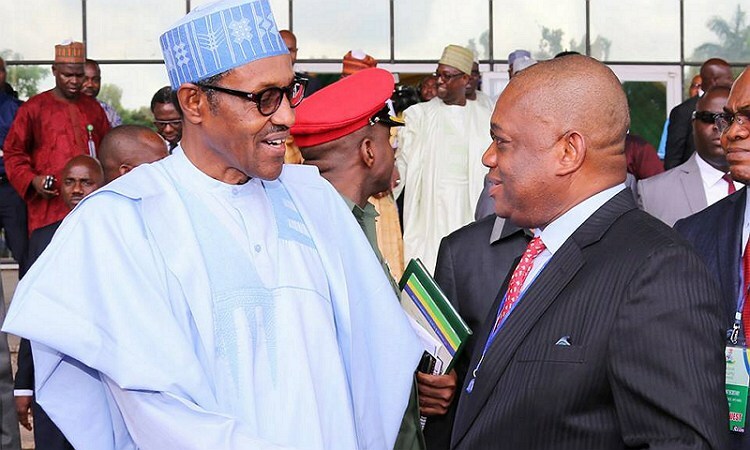 Ex Governor of Abia state, Orji Uzor Kalu, has disclosed that he took permission from President Muhammadu Buhari, to go and defend him when a particular region in Nigeria was attacking him. Kalu, speaking on Friday during a courtesy call on Governor Aminu Masari of Katsina, insisted that Buhari deserves a second term. “When they started attacking the president from that region, I took his permission to go and explain to the people of the region, that the person attacking him was not qualified to attack him and we succeeded in doing that. “All traditional rulers in the region agreed with us that we were doing the right thing. He has done very well even for us who did not vote him. Go and see, our Niger bridge is being done, roads and many other things are being done in our area,” he said. Kalu also visited the Emir of Katsina, Abdulmumin Kabir Usman and his Daura counterpart, Umar Faruk, to pay him Sallah homage.